There's a Nando's, a Cafe Rouge, plenty of other restaurants, bars and clubs, an Imax cinema and a gym. What more could a journalist want? A computer, a telephone, an office would be nice. Some congenial people to work and play with would be better. The clatter of the presses down below and an inky first-of-the-run paper to take home would be perfect. 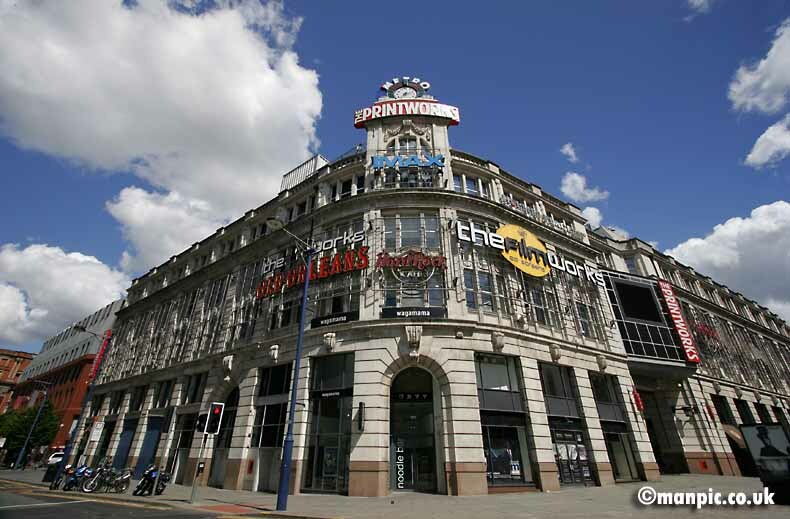 The Printworks in Manchester describes itself as a buzzing, state-of-the-art entertainment complex in the heart of the city centre with something to offer day and night. Others might prefer to remember it as the biggest newspaper production plant in Europe. But that was back in the day. Back in the day when most nationals had complete teams to produce a paper in Manchester simultaneously with that being prepared in London. The fashion started at the turn of the last century when the Mail was concerned that the trains couldn't get the paper to its northern readers in time. The idea was for the Manchester lot to replicate the work being done in the capital - but the journalists didn't quite see it like that. They wanted to find, write and print their own stories. And they did. They were also perfectly capable of making clear their irritation when the London night editor started changing pages to accommodate some late event in the other Piccadilly. One by one, other papers followed the example so that by the mid-50s, the Express, the Telegraph and the Mirror all had full-scale operations in Manchester, creating a community of some 1,500 journalists in its heyday. The Mirror even introduced a cartoon character specially for its northern edition in 1959; his name was Andy Capp. Then there were the local lads. The Guardian, as we all know, was born in Manchester - stirred into life in 1821 by the Peterloo massacre - and proudly bore the city's name on the masthead for 138 years. The Daily Sketch, too, started in Manchester. It was founded in 1909 by Edward G.Hulton, building on the sporting newspaper empire created by his father (also Edward) after he was sacked from the Guardian for hawking his own racing sheet alongside the paper that paid his wages. Hulton sold the Sketch in 1920, setting the paper on a 50-year grand tour of baronetcies until it finally died of exhaustion in 1971. 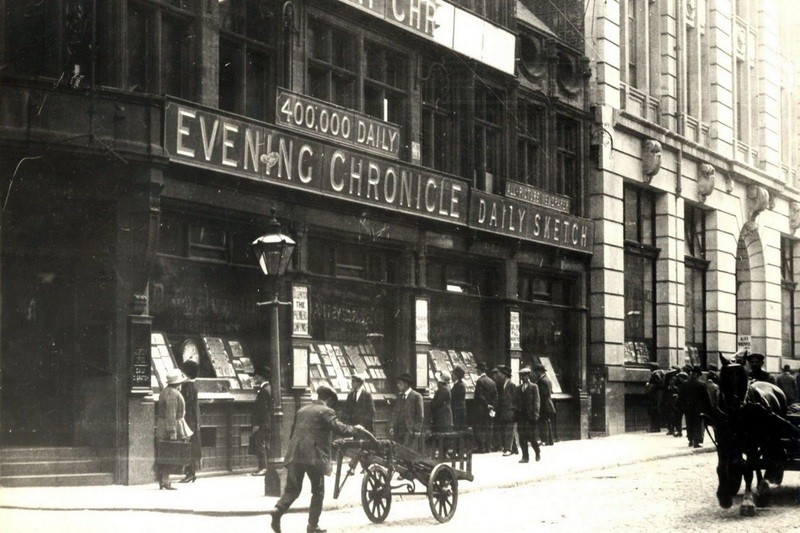 As the former Guardian journalist Robert Waterhouse relates in his book The Other Fleet Street, many titles (of both newspapers and their owners) came and went over the years. The thriving Withy Grove printing house established by Hulton also had its share of names - Kemsley House, Thomson House and Maxwell House. Robert Maxwell bought it for £1 in 1985, raising immediate concerns for the jobs of the 1,700 people working there. The company responded with a 'no comment', then suggested that half of them might be safe. Maxwell closed the plant the following year and the building lay idle for a decade. The derelict plant was eventually sold for development for £10m, and re-emerged as The Printworks in November 2000 after a £110m refurbishment. In those days Kemsley House was home to the Daily Despatch, the Daily Sketch, the Sporting Chronicle, the Evening Chronicle, and the Saturday Pink, which was the Chronicle’s football paper, and numerous journals and periodicals, some of which were printed at Kemsley but written and edited elsewhere. I first worked in the phone room, sitting round a massive table with a lot of other young lads starting out in the newspaper industry. We were responsible for producing ‘blacks’ for the typewriters, which involved inserting carbon sheets between two sheets of white paper, securing them with a pin and adding them to a stack of blacks that was built up as high as possible before being whipped away. These sheets were used by the copy typists, who sat in booths with their headphones on taking copy down the line from the reporters. You can imagine how fast we had to work on a Saturday when the Pink was being produced. We also used to run around the building delivering copy and messages. Naturally I got to know Kemsley House inside out. 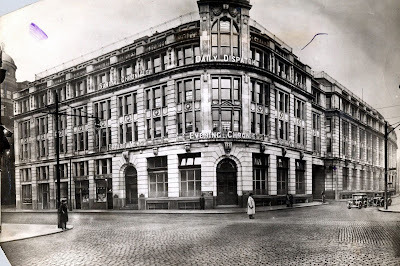 It was a hive of characters in those days - reporters, printers, linotype machinists, chefs, editors, secretaries, accountants, subs, copy takers - all busily occupied across eight floors connected by numerous staircases, back-stairs, corridors and lifts. The Manchester press corps included top-notch writers including Arthur Ransome, John Masefield, Alastair Cooke and Neville Cardus, as well as men who went on to become legendary editors: Larry Lamb, Arthur Christiansen, Harry Evans and Derek Jameson. But it was not to last. The Guardian dropped the 'Manchester' from its name in 1959 and within five years was on its way down south to London, finally ending production in its home city in 1976. By the end of the Eighties, the Telegraph, Mirror, Express and Mail had all moved out, leaving only small teams of journalists to cover the area. As editor of the Sun, Rebekah Wade got rid of the journalists too, closing the Manchester operation altogether in 2004. 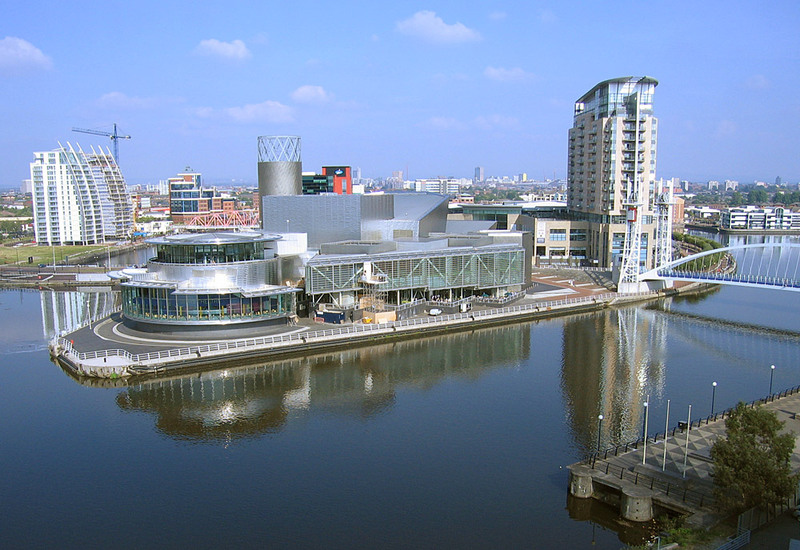 It was revived in the spring of last year when seven reporters and two feature writers Media City at Salford Quays, below. There was even talk of expansion, but then the paper announced last week that the three photographers working on contracts would now have to take their chances as freelances. The rivalry evident between London and Manchester never abated. The head office crew looked down on 'the regions' and 'the provinces', even though the people working in Withy Grove and Ancoats Street were every bit as much national newspaper journalists as those in London. The Manchester set meanwhile complained constantly of 'London blindness', an inability to see that anything beyond the capital might matter. It's a complaint that remains justified to this day. The BBC may have decamped to Salford Quays, but its approach has been rather like a Groundhog Day wayzgoose, since it has taken busloads of London staff along for the ride, many of whom go home to London when their work is done. It makes sure it tells the audience when a programme has come from Manchester, but not if it was made in London - as though the default position must be London and that any deviation needs explanation. Newspapers are finding savings by tightening the M25 belt and dispensing with virtually everyone who works beyond it. Subscription deliveries are never offered to people living outside the magic circle. In this Londoncentric environment, where north Essex or south Kent are regarded as strange and different countries, it's easy to see how Birmingham, Manchester and all stations north, west and east feel unloved. 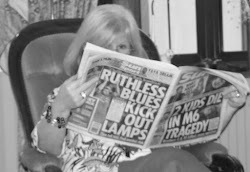 The former Times reporter Helen Nugent is now trying to redress the balance with a new website called Northern Soul, which covers all aspects of 'living north of Watford Gap'. She has started by focusing mainly on Manchester, but aims to spread its coverage as the site becomes established. 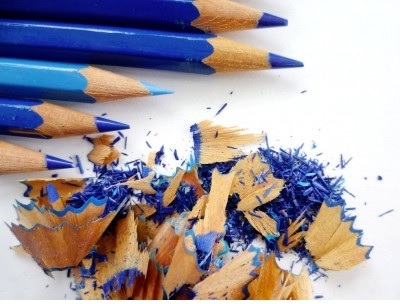 In the guest blog below, she explains how she feels the London Press has abandoned the North and why that is a mistake. Did you know the story (possibly apocryphal)about the sign on the Manchester Guardian's building? As you might expect, it did say 'Manchester Guardian' for some time. Then, during WWII, it was removed in case German bombers saw it and realised they were over Manchester...the sign was never replaced.